Founded in 2008 by David Pease and Lorna McFarlane, Inspire Catering has enjoyed continued strong growth and success. 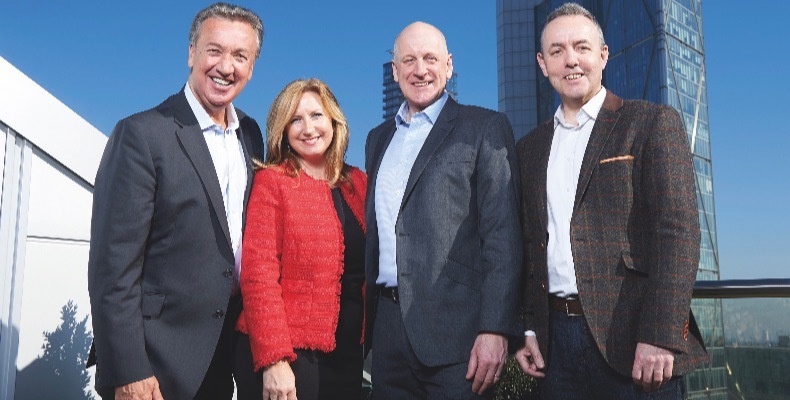 With CH&CO’s ambition to become a leading player in the Scottish food and hospitality industry and make further investments in Scotland, the decision to join forces was a natural fit. Both businesses cater for a variety of prestigious clients across the work, education and destination catering sectors. David Pease and Lorna McFarlane said: “We are both really delighted to announce this exciting news. It further strengthens our market position and means we now have a collective ability to drive forward with a fresh impetus to the benefit of our clients, customers and our employees. “It’s very much business as usual for us all. Inspire Catering will continue to flourish, and we will continue in our existing roles running the business. We are very much looking forward to combining our systems and ideas to build an even stronger business going forward. CH&CO’s CEO, Bill Toner, added: “For some time now we’ve had a strong desire to grow our market share and invest in Scotland. Inspire Catering is the ideal partner for us to achieve this and the merging of our Scottish businesses now makes us a significant and dynamic player in the Scottish market.